Welcome Home to your Mountain Retreat! VIEWS! WILDLIFE! PRIVACY! This home has it all! 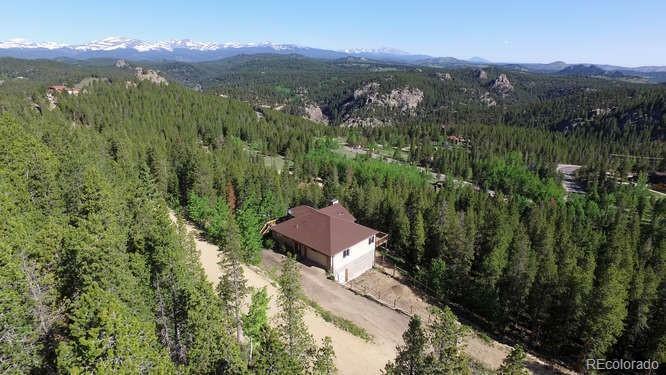 Custom built home located in the heart of Coal Creek Canyon. Almost 3 acres, private drive, 2 main floor masters, open great room, finished basement, 2 attached garages, 3 full bathrooms, walk-out basement, fenced in dog run. 10" thick concrete walls with insulation on both sides, 3 heating elements, 3 ft wide x 18" deep footers! House has ICF (insulated concrete forms) and non flammable siding materials to help protect from fires.